Gary Michuta sent an email to tell me that he has corrected his original post (The 44% Solution: Why Anti-Catholics Should Trust Their Instincts) primarily with regards to authorship on the posts here. He has also included a brief reply to some of my points, but I don’t think he has really addressed most of the issues. In Gary’s defense, I think he is a bit busy with real life so I understand he may not have the time to go through everything at the moment. In the meantime, though, I would like to respond to a few things Gary has written. First, Gary’s new post addressing his corrections can be found below his original post. Unfortunately, Gary doesn’t have individual links for his articles, so you will have to look through his homepage to find the corrected and new posts. “Second, the "44% vote" was not made in the particular councils (the classes), but the General Council. When writing the article, I was referencing the Latin texts and as you can see in CT, v. 5, p. 10, the header read "classes." “Why is there disagreement on what this vote was on? Because the 44% vote had no effect on the final decree. It was a straw vote taken during an ongoing discussion Moreover, if you look closely at the quote above (Concilium Tridentinum, volume 5, p. 10) you will see that the vote didn't decide anything for the General Council. The document explicitly states "(sed nihil decretum)", which is translated "(but nothing was decided)." What is the proof it was a "little more than a straw vote"? Gary has offered no evidence to back this up. Yes, I can agree to #1 and #2, but not #3. I think Gary’s wording on #3 is imprecise and also misleading, and I think my critique of Gary’s original article still stands. The vote did mean something. That’s right. The decision to adopt the Florentine canon as an article of faith was agreed to by only 44% of the council members. I guess my questions is, why did 56% of the council members believe that the biblical canon that was supposedly taught throughout church history, accepted by Hippo/Carthage and later confirmed by the Council of Florence, perhaps shouldn’t be an article of faith? In other words, if the historical witness of the canon was so clear that Luther (and Protestants in general) could be accused of “throwing out 7 books of the Bible” (a common RC apologist claim), why were 56% of the council members not in favor of making the canon an article of faith? Based on previous comments around this discussion, I know this topic causes some people distress. If your comments are personal or off-topic, they will be deleted. Stick to the facts of the post or do not comment. Off-topic comment #1 chimes in above. That didn't take long, but then again, it is CaptKang. I realize this is difficult for many Catholics (and EOs), but every conversation around the canon does not make your potshots at sola scriptura on topic. Remember, if you cannot trust God to put together the canon without making men infallible, the issue is yours, not mine. The way in which one argues, and I'm not talking about passion and polemic, is just as revealing as what they are arguing. They didn't vote that "perhaps" the canon decreed by Hippo and Florence should not be an article of faith. I think it was pointed out to you that the question was whether the fathers of Trent should simply reiterate the de fide canon of Hippo and Florence or whether they should reiterate the de fide canon with explicit refutations of the Protestants' and humanists' arguments. There is the crux of the matter. That you continue to make the dissenting votes and abstentions into a denial (or implicit doubt) of the canon is simply reaching too far. I pointed out Michuta's interpretation of Metzger's interpretation. I think it was pointed out to you that the question was whether the fathers of Trent should simply reiterate the de fide canon of Hippo and Florence or whether they should reiterate the de fide canon with explicit refutations of the Protestants' and humanists' arguments. No, that has yet to be proven. Are you disagreeing with Michuta that the vote was on the anathema? And if the canon was already "de fide", why did Trent need to deal with it at all? Unfortunately, I returned Ott's book to the library, but if memory serves me correct, your use of de fide is not correct here. I didn't say it was proven; I said I believe it was pointed out to you. You disagree with him on #3. So, it seems to me that by stipulating to point #2, i.e. that the vote where the 44% majority carried the question, you are accepting that the vote was not about the final decree which took place later. I don't see where Michuta explicitly states that the vote "was on the anathema," could you give a citation with your explanation, please. I think his position is probably more nuanced. I don't know. But if what you are alleging (that the vote was solely on attachment of an anathema) is correct, then I do disagree. I think it was about whether to include specific discussion of Reformers' objections. You said, "If the canon was already de fide, why did Trent need to deal with it at all?" Because Protestant began picking and choosing doctrines, of course, which is the definition of heresy. You occasionally have councils to deal with such things. Like Second Orange. But that didn't prevent the need to address things in more detail later, as at Trent with regard to soteriology, e.g. Settled questions get brought up from time to time. 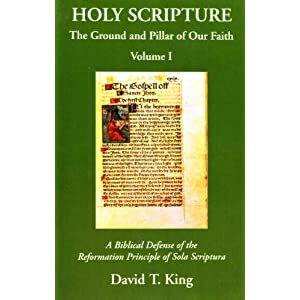 As a matter of fact, the explications of Trent on justification cover more explicitly earlier pronouncements on semipelagianism from II Orange, but the complications introduced by the Reformers necessitated examination. Perhaps you'll make another post now about how synergism was never some "tradition" handed on and that the fathers of Trent had arguments and votes supposedly questioning the non-tradition, etc. So, it seems to me that by stipulating to point #2, i.e. that the vote where the 44% majority carried the question, you are accepting that the vote was not about the final decree which took place later. The vote did not take place on the final decree (on April 8th), but the vote determined the final degree as far as accepting the Florentine canon as an article of faith. Look again at what Jedin said: “The result of the above-mentioned vote of the general congregation of 15 February committed the Council to the wider canon…”. I don't see where Michuta explicitly states that the vote "was on the anathema,"
Check the video. He said it there first. Then in his original article he said : "The 44% vote had nothing to do with the contents of the canon, rather it appears that the vote concerned the inclusion of a anathema...". But if what you are alleging (that the vote was solely on attachment of an anathema) is correct, then I do disagree. I think it was about whether to include specific discussion of Reformers' objections. Then you are at odds with Michuta, Duncker, and Jedin. The vote does appear to be on the anathema. I have evidence to back this up, I hope to get something up today or tomorrow. I have been waiting to see if Gary would fix his mistakes, but since he hasn't yet, I will post something. Because Protestant began picking and choosing doctrines, of course, which is the definition of heresy. I don't think you really answered my question here, but we may be using "de fide" differently. I am used to Ott who used "de fide" to categorize all decisions/decrees as dogmatic articles of faith. IF the canon was "de fide" before Trent, no one seemed to know that. Even some of the council members at Trent were unsure whether the Florentine canon was a conciliar decision or not and of course, many people prior to Trent questioned the deuterocanon which wouldn't have been allowed if the canon was clearly a de fide fact. Anyway, I am not going to discuss all the particulars now. I have lots of stuff to post on which I believe will clear a few of these areas up. This vote isn't even the most interesting point about the discussions on the decree of Scripture and Tradition, so I would like to move on soon. Finally, here is the 24 to 15 vote! Carrie was right; the vote total didn’t make sense for a council that was merely rubber-stamping decisions of previous councils. The 44% vote had nothing to do with the contents of the canon, rather it appears that the vote concerned the inclusion of a anathema (the application of canonical penalties to those who deny what is stated). I should note that, according to Dunker, there is some slight disagreement among the sources and it is not completely clear whether this vote was on the inclusion of the anathema or whether it was on whether it would be illicit for the council to include a refutation of some of the attacks on the canon in its decree. Dunker makes a good case that the 44% vote was on the latter and not the former. What is clear is that this vote was not the Decree on the Canon of Scripture nor was it on the adoption of the contents of the canon. You initially tried to claim that the vote was over the content of the canon; this is not the case. You now argue that the vote was over the inclusion of an anathema. This is correct as far as it goes: my point (that the vote concerned the inclusion or exclusion of discussion and refutation of Reformers' challenges along with the canon that the Tridentine fathers all accepted) stands, I believe, because the discussion of such objections as the Reformers made would most likely eventually have taken the final form of several "if anyone says, then let him be anathema" statements, i.e., anathemae. I refer you again to the above quoted paragraph. Hopefully my new post should clarify.